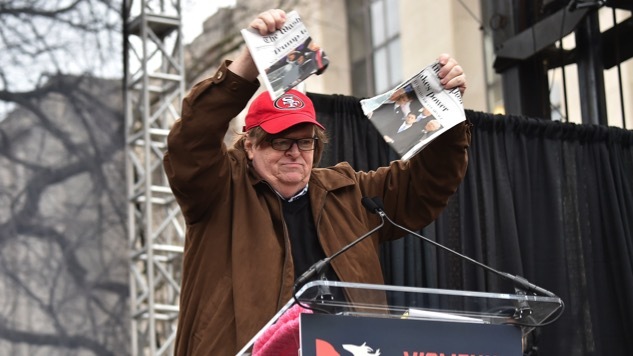 In case you were wondering whether Michael Moore can rip up a weekend edition of the Washington Post with his bare hands, he can. And then, to really stick the landing, Moore pointed out that Democrats have twice won the popular vote but lost the election in 16 years. “Twice now, we won the White House, yet they walked through the door!” Moore said. So if you were also wondering whether Moore and George W. Bush are cool now, they’re not. Watch part of Moore’s speech below.